Today is Palm Sunday, the day we celebrate Jesus’ return to Jerusalem. It’s traditionally called the Triumphal Entry, but do you know why it is called ‘triumphal’ or what message that sends to Christians today? The account of Jesus’ entry to Jerusalem is found in all four Gospels (Matthew 21:1-17; Mark 11:1-11; Luke 19:29-40 and John 12:12-19). For those who are not totally familiar with the entry narrative, before entering Jerusalem, Jesus sent 2 disciples ahead to bring him back the colt of a donkey, a colt that never been ridden. Then Jesus sat on the colt and rode it into Jerusalem. The people heard of his coming and believed that He was the promised king come to deliver them from the tyranny of their Roman rulers. Hailing Jesus as their king, the people lined the road and placed palm fronds down on the road in front of Jesus and the donkey colt, an honor only given to a king. This is why we celebrate the day – Palm Sunday. Jesus entry into Jerusalem is referred to these days as the Triumphal Entry because the people hailed him as their promised king. Jesus didn’t correct the people, but He rode in not as their promised king but as their promised Messiah. The people thought He was there to save them from the Romans, but Jesus knew that He was there to save them from eternal damnation and that it would cost Him His life. He knew He was not going to sit on an earthly throne and rule the Jewish people, but that He was going to endure an excruciating and humiliating tortuous death on a cross. Jesus’ mission was very different from what the people were expecting, but was the most important act for all of mankind, ever since Adam sinned in the Garden of Eden. So, what message does the Triumphal Entry have for Christians today? Knowing the consequences for doing the right thing and what His purpose was, Jesus didn’t stray from that purpose and He did the right thing. 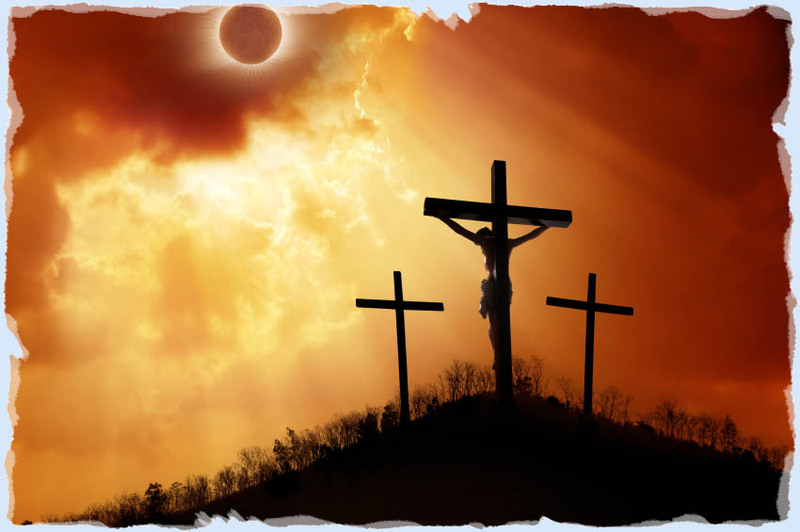 Knowing the cost of doing the right thing would lead to being beaten, whipped, spat upon, having a crown of thorns embedded on his head and then suffer the slow and agonizing death on the cross, Jesus still did the right thing, even though His human part asked God if at all possible, to remove that cup (duty) from Him. Jesus, however, knew that God would not remove the cup from Him and that He was definitely going to be brutally killed. Today, Christians are facing a lot of persecution. Democrats are working hard to pass laws that make preaching some of the truths about sins a criminal act. They mock Christians and go out of their way to try to silence TRUE Christians. I emphasize TRUE Christians because a great many people who claim to be Christians have compromised their faith by abandoning parts of what the Bible teaches. They have compromised to the sinful ways of the secular world, such as living together before or out of marriage and accepting homosexuality instead of condemning it as an abominable sin (Leviticus 18:22; 20:13). Many of today’s so-called Christians are afraid of being confronted for their faith or they find themselves embarrassed by their faith – kind of like Peter denying Christ 3 times. Just as Jesus did not back away from the truth and doing what He knew was the right thing to do, even though it cost Him everything (from an earthly perspective), TRUE Christians should be prepared to do the same. Standing up for Jesus and the truths of the Bible could cost you your relationships with family and friends as Jesus said would happen. It could cost you your job, your home, your finances and even your freedom. “Not everyone who says to me, ‘Lord, Lord,’ will enter the kingdom of heaven, but the one who does the will of my Father who is in heaven. On that day many will say to me, ‘Lord, Lord, did we not prophesy in your name, and cast out demons in your name, and do many mighty works in your name?’ And then will I declare to them, ‘I never knew you; depart from me, you workers of lawlessness’.” Matthew 7:21-23. When I read or hear about Jesus’ Triumphal Entry, I see it as an example to follow – to do what is right in the eyes of God, even knowing the consequences could be dire. Previous Previous post: Palm Sunday: Your King Is Coming!